What are Flavors Made of? 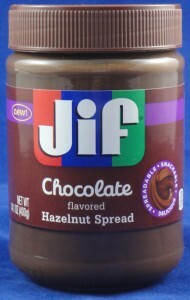 Filed Under: Reviews of flavored products Tagged With: chocolate, cocoa, Dark chocolate dreams, Ferrero, Filbertone, hazelnut, Jif, Nutella, nutrition hazelnut spread, nutrition peanut butter, peanut butter, Peanut butter & co. I am a flavor chemist, food scientist, public health advisor, wife and mom. Opinions and reviews are my own.